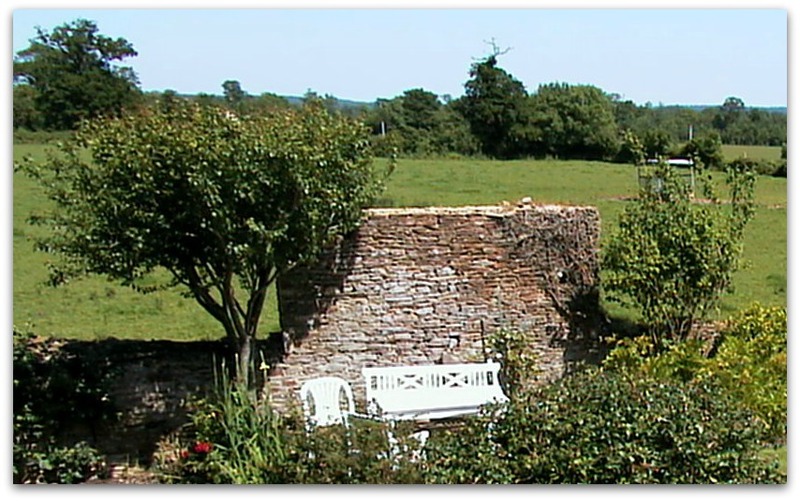 Normandy Life: Mosaic Monday # 29 - did you ever have one of those days? You are not kidding about a bad day, Maggie! I'm so, so sorry about everything. You seemed to find a little silver lining after each issue...great positivity. And just when we think the damage is irreparable, the sun comes out. So happy for you! Gorgeous home...I'd love it just for the pnd! 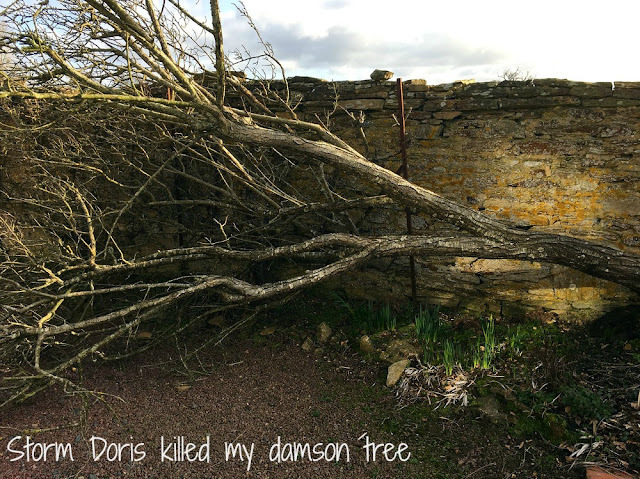 What a week you've had - an unfortunate visit from Doris causing so much havoc. You were lucky with the speedy response from your local tradesmen. My daughter in Burgundy tells us many funny stories of waiting for tradesmen to complete jobs. They are currently doing major alterations. While they do most of the work themselves - they need help for the electrical changes. One summer we all had a wonderful holiday at Le Lavandou on the Côte d'Azur. We visited a beautiful village in the hills Bormes les Mimosas - one of my favourite villages in France. 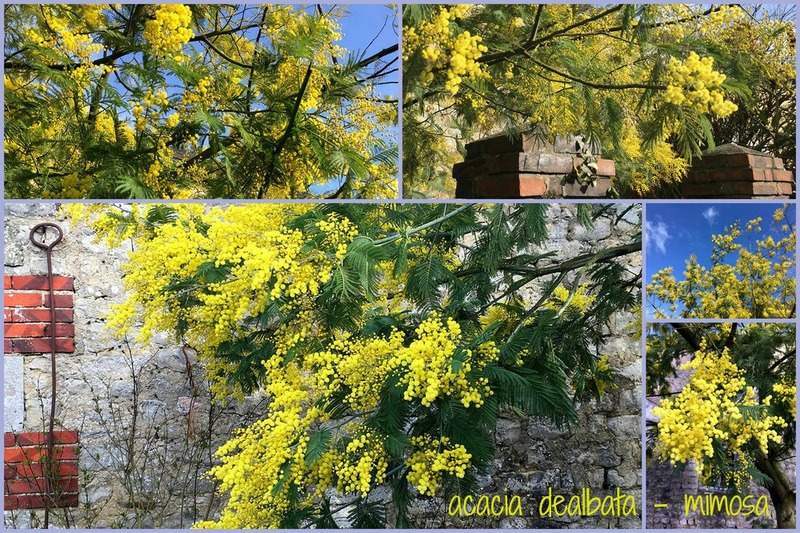 I can't remember the Mimosas in flower though! Gosh, I think I might have needed a mimosa or two (the Bucks Fizz kind) after a day like you had! I loved the way your post brightened up in words and pictures as it went along ... in spite of the no-good terrible day, you never did whine and you definitely ended on a bubbly note. I am really sorry you lost your Damson tree. Thank you for hosting and for smiling in spite of it all. As they say it never rains it pours. So glad it all got sorted out in the end. Too bad about the damson tree. 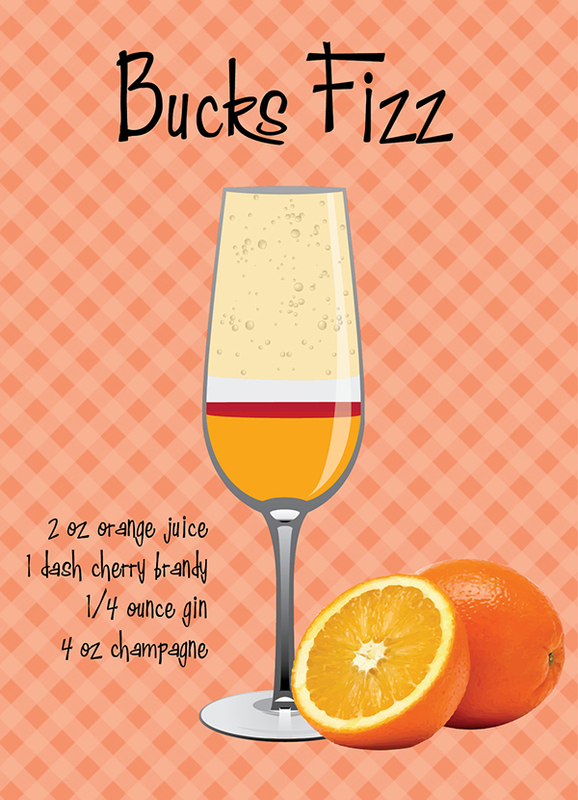 Did the Buck's fizz get you through all the challenges? Sorry to hear about your damson tree, Maggie. Always difficult when one loses favourite plants in the garden. 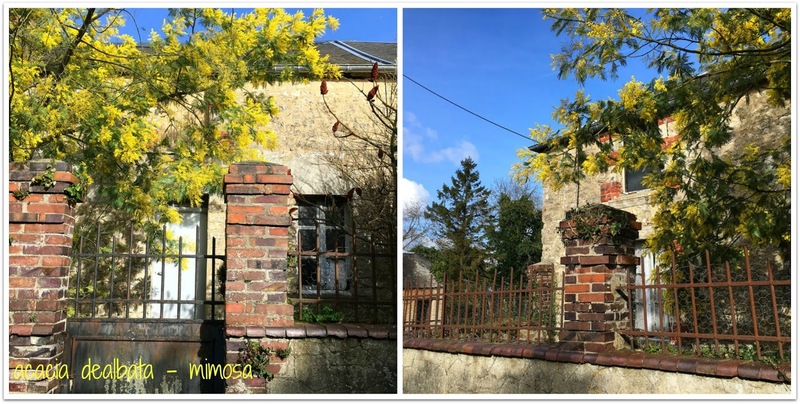 Glad to see our yellow flowering wattle is doing well in your part of the world! Thanks for hosting. What a day! Sorry about the loss of your tree. Losing a tree is almost like losing a good friend. We lost a tree last week, a bit shocking but thankful it missed our house. You live in such a lovely spot. Oh my, Maggie! You have certainly survived a day of dismal disasters! 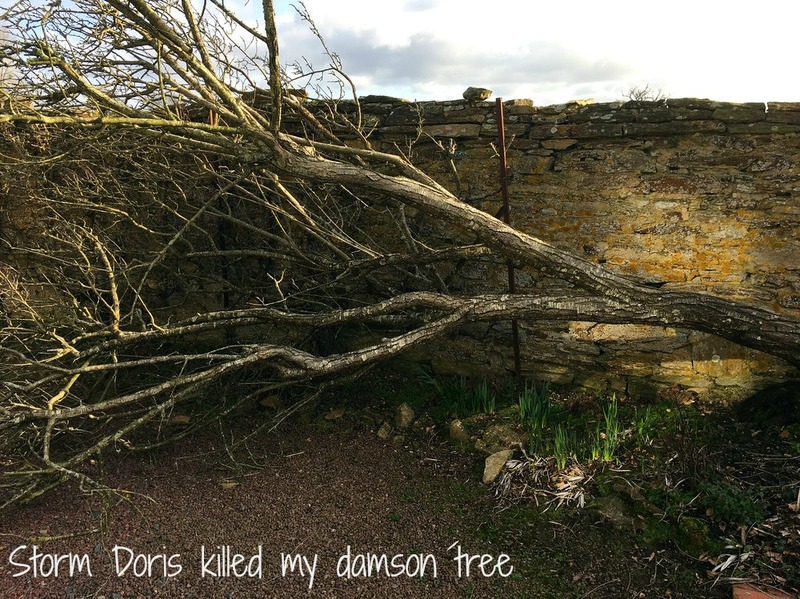 Sorry about your damson tree. Have you considered planting another in its place? Both types of Mimosas are a relief to upset senses! Heraklion is full of beautiful, pink Mimosa trees. We had one flopping onto our balcony every spring and its scent was sweet and fresh. Again, another very intriguing home that, with a strong dose of TLC, could shine. Are these homes being advertised? It does seem like when one thing goes wrong....al h... breaks loose! I hate to see a beautiful old tree come down though! We have a pink Mimosa in the Southern states with a STRONG scent. It sure is beautiful in the early summer! Happy MM! I guess you have to fill in lots of blanks there. ALL H E double L is what I was trying to say! haha! 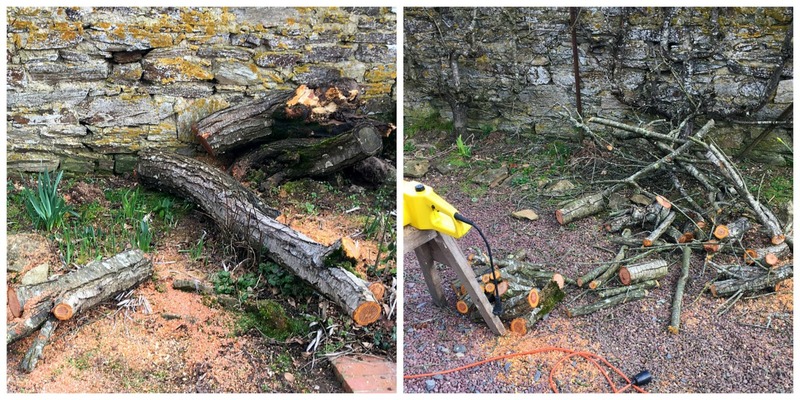 It is SO disappointing to lose a tree! It sounds like a day you don't want to repeat any time soon! I'm glad you had back-up heat from your wood burning stoves. Thank you so much for hosting Mosaic Monday! What a day you had. So glad the next day was better. You'll see a downed tree in my post ... at our Central Park. We've had some rather violent storms ... at least considered violent here in Southern California. Have a great week. Correction, I thought I'd posted my pix from Central Park but I haven't. Oh no, Maggie, you did indeed have a terrible week full of disasters. I'm glad all is straightened out and I hope this will be a better week with good heat, no flooding, a well working internet and your facebook back and running. I know so many people who have been hacked on facebook--it sadly seems so easy to do. I do like mimosas but I never heard of a Buck's Fizz--that sounds good with the addition of cherry brandy! Oh my Goodness!! How awful---maybe you could go back to bed and start the week over with no mad consequences---you wish. You seem to have a good sense of humor though and you survived it all!! This will be a week to talk about when you are burning the Damson wood. Such a huge series of happenings in such a short time. Good that you have wood burning heat. Hugs. Thank you for Mosaic Monday today Maggie. Oh my - everything piled right on top of you. Glad you had the wood fires to keep you warm - hope this is the end of your excitement. Oh no, sorry about your Damson tree. I could use a mimosa right about now. Hope your week goes well. I'm not participating this week since I'm at our son's and can't get around to visit properly. Wow, you had quite a day! It would be funny if you hadn't been cold and deprived of the internet. I'll bet you could have enjoyed one of those cocktails! Please go into your FB privacy settings and make it so people can't see your friends' list so that next time the imposter won't be able to contact your friends. oh gosh, you have had some terrible troubles at home. I hope that things are back on an even keel now. I was thrilled to see the wattle tree Acacia Dealbata in your front garden. I hope the rest of your week goes smoothly. Dearest Maggie; OMG, so sorry that I must have caused more trouble for your hectic week. I'm not sure why my link is connected to the picture of the 'wind chime' which I might have opened as I checked the instrument. I just tried to link again, haha happy to be succeeded. And Thank you so much for your comment♪　My weeks recently have been busy ones as well(^^;) Next week I'm away from PC on Monday, but wish to link for your wonderful meme some days later. You had the week that no one wants to suffer. One event is enough to challenge our patience. Looks, though, that you survived. Missed Mosaic Monday. Just not enough time this week and nothing is happening around here any way. February is rather drab. You HAVE been having the worst all time week. I'm so sorry, Maggie. Sorry for the tree, the mess, the hacker (I've had one of those, too.) I hope next week (or this, I guess) is much, much better because believe me, you deserve it! I heard about that terrible storm from friends in East Yorkshire. What a swathe it cut across the miles! I'm glad to read that things are back to normal. Thanks for the info on the house - we won't be picking up that little fixer-upper....there's enough to do right here!